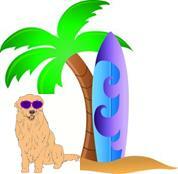 Golden Retriever Rescue, Inc. (NJ) Newsletter Summer 2011/Let's Go Surfing Now! Let�s face it. In today�s day and age, technology is what it�s all about and �surfing the web� has become the national pastime. The internet is an amazing tool and exposes us to people, places, and things that we might otherwise never know about. I am one of those people who LOVE to �surf� and just spend time checking out different sites. I think it�s just so amazing that you can type pretty much anything into a �search� and come up with dozens of web sites that offer tons and tons of information and products. So, I thought for this issue of Tales of Gold I�d share with you some of my favorite web sites for all things related to our beautiful, furry friends! Before I go on, I want to make it clear that GRRI-NJ in no way endorses these web sites or the products or information contained therein; these are simply some of my personal favorites that I�d like to share with you. As with anything else in life, what I find wonderful you might not think is so great and vice versa, so please bear this in mind as you access these sites. Hopefully, you will enjoy some of the things you see and read about! In order to make your �surfing� a little easier, I�ve broken my list of favorites into different categories. Hope that helps! Let me again reiterate that GRRI-NJ in no way endorses these web sites or the products or information contained therein; this list is simply meant to provide you with what I think are some fun and interesting sites to visit! 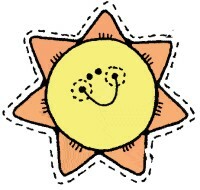 Happy Summer 2011 � and happy surfing! BTW � if anyone has any great web sites they�d like to share with the group, please e-mail them to me at goldpawz@gmail.com and I�ll include them in the next newsletter.